Most of us own mobile phones, which usually need to be charged at least once per day. Even then, many of us leave our phones to charge overnight, or forget to unplug the chargers when they’re not in use. 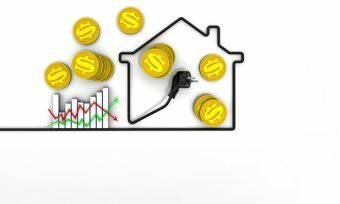 Well, if your latest electricity bill was higher than you expected, you will be happy to know that your phone charging habits aren’t at fault. Canstar Blue has crunched the numbers and found that charging your mobile phone uses a miniscule amount of electricity compared to other devices and household appliances. If you’re looking for ways to reduce your electricity usage, your mobile phone charger is pretty low on the list of culprits. How much does it cost to charge my phone? Completely charging your phone will cost you anywhere from 0.2c to 0.35c. Mobile phones have a very small capacity and only require around 5 to 15 Wh of electricity to charge – depending on the phone model and its battery capacity. To illustrate, the popular iPhone 6 has one of the smallest battery capacities compared to competing flagship models. With its 1810 mAh capacity, it only costs 0.2c to fully charge. If we assume that phone is completely charged once a day for 12 months, then the electricity costs are… a mere $0.73. So since charging your phone literally costs a fraction of a cent, don’t feel bad for charging your phone at a friend’s house… unless that friend is stingy to an unfathomable degree. What do phone chargers cost when there is no phone connected? Unused mobile phone chargers are a source of phantom load, also known as standby power and vampire power. This refers to situations where a device consumes electricity despite no one using it. We’re all guilty of occasionally leaving unused phone chargers plugged in, but the good news is that it’s costing you virtually nothing. While electricity still passes through an unused charger, most phone charges detect when a device is disconnected and reduces its voltage accordingly. The amount of electricity that passes through an unused charger will again vary, but most agree that it only uses between 0.1 and 1Wh. That means it’s only costing you between around 1c to 10c per year. What if I leave my phone on charge when I go to bed? Many of us put our phones on charge before bed, so we wake up to a 100% phone battery, ready to get on with the day. 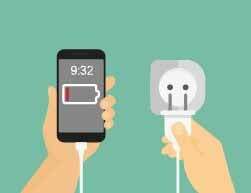 Most phone charges detect when a phone has reached its maximum capacity and will respond by reducing its voltage accordingly to avoid wasting electricity and damaging the phone. Once your phone dips from 100%, the charger will automatically top it back up. It’s hard to pin point the exact amount this will cost you as it largely depends on the life and condition of your phone battery. Since the phone is only periodically charging however, it can plainly be inferred that it’s costing less than if the phone were constantly being charged. As a side note, you should avoid charging a phone that’s already charged wherever possible. While it sometimes can’t be helped, doing this increases the rate of battery deterioration. Can charging a phone in my car kill my car battery? No – or at least not in reasonable circumstances. As we have maintained through this article, charging your phone uses miniscule amounts of electricity, not nearly enough to drain a car battery in any timely manner. To illustrate this, a standard 40 Ah (Amp hour) car battery holds around 400 – 500 Watts of electricity. If you charge a Galaxy 7 in a car that’s switched off, then it would take at least 35 hours for your phone to drain the car battery (with the artificial assumption that the phone never hit 100%).